In LADDER LOGIC's two minutes matches, the three robots and human players score points by placing the balls onto the side goals or into the central goal. At least one ball must be placed in the center goal for any of a team's balls to count. 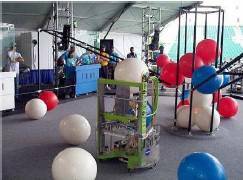 The balls are color-coded to identify team ownership and each team has 9 balls.. A human player, located outside the perimeter of the field, is allowed to hand balls to the robot or throw balls directly at the goals. 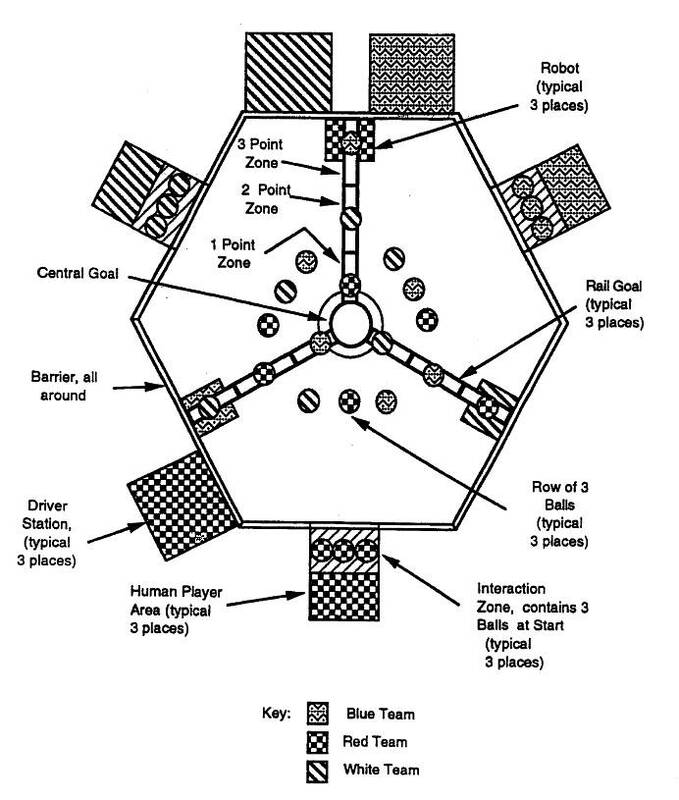 The robots compete in a hexagon-shaped field with an 8' tall central goal and three rail goals extending outward from that central goal.